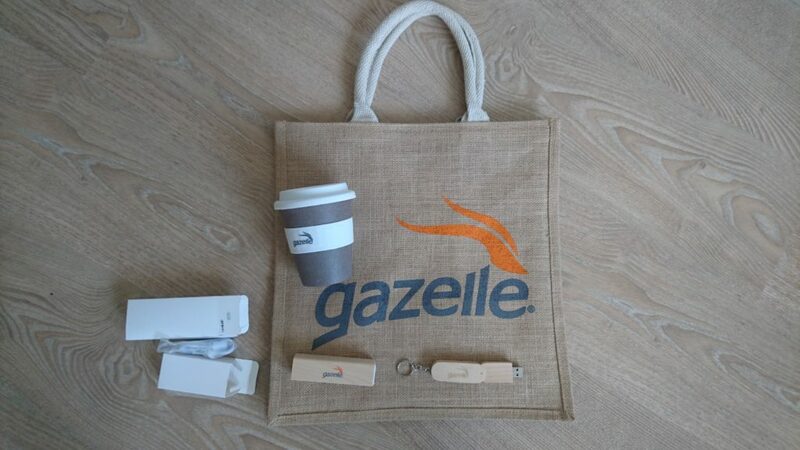 Yesterday I got up really early to go to London to find out about Gazelle – a phone recycling company. Phone recycling isn’t a new idea in this country. However Gazelle is changing the game! They are bringing their phone recycling kiosks over from the US where they have been in business for 10 years, to the UK. These machines are designed to make it easy and convenient to recycle our phones. They are really simple to use and are very clever. You take your old phone along, put it in the machine and it 3D scans it and then gives you a quote for how much the phone is worth. You don’t have to sell it at this point and can take it back out if you have second thoughts about it. If you do want to sell it though, you continue through the process and can either choose to get paid by PayPal or direct to your bank account. It takes under 10 minutes to go through the whole process. You can take any phone in any condition to be recycled. 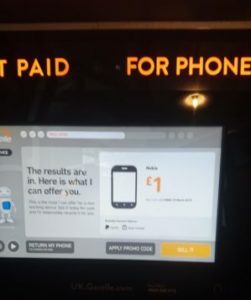 I took along a very old broken phone with no battery in it to try in their demo machine they were showing and got offered a £1 for it. I think that is much better than having to find another way to recycle it and way better than it going in the bin! I might have been able to get more for it if I had been able to turn it on as they would have been able to see that it worked. They recommend turning phones on before putting it in the machine so that they can offer the best price for it. They say that phones are either sold on, refurbished to be sold on or are recycled and that nothing goes to landfill. They work with companies that recycle every part of the phones. The refurbished phones are sold on in various ways including to developing countries. They really care about the environment and want as little waste as possible. On their website it says they have diverted 19 million cell phones and tablets from landfill and that in those devices they have saved 670,206 pounds of copper, 1425 pounds of gold and 14668 pounds of silver for reuse! (They aren’t accepting tablets in the UK at the moment, but do in the US). I did notice that before you put your phone in to be scanned they print out a sticker that you need to put on the back of your phone. However there is a little slot to put the plastic from the back of the sticker in the machine and they recycle it where possible depending on the location of the machine. I wanted to know how they make sure they are competitive and give good prices for phones. They said that they update the prices daily and are constantly checking market value. They said you might get quoted slightly more for recycling through a website. However the online quote is often a rough guide until they have seen your phone and it might not be the final price you get offered. You won’t have that problem at a Gazelle kiosk as they will pay out straight away. I can’t say for sure if the prices are competitive, but I think their key selling point will be that they make it so easy. The kiosks are being put in really easily accessible places like shopping centres and supermarket foyers. Currently they are mainly in the midlands in Morrisons supermarkets, but they have plans to expand all over the UK within the next couple of years. Before I went yesterday my husband told me to ask them about fraud. Well they answered that question with bells on. So if you are thinking that this is the start of a great career as a phone thief, I would think again. You have to be over 18 to use the machines and you have to take your driving license with you. You put your driving license into the machine and the kiosk films you and someone in Gazelle checks via the camera that you are who you say you are. If the phone has been reported as lost or stolen, then the phone will not be returned and they will have your picture on camera. If you are worried about data on the phones, firstly you should wipe them before selling them, but if you forget Gazelle say they will only work with companies that data wipe the phones before doing anything else with them. A lot of people don’t recycle their phones because although there are lots of companies offering phone recycling services, you have to go out of your way to find a website, fill out all the details and send it off. On top of that if the phone is very old or broken, you would probably think you wouldn’t get much for it. This means there are lots of phones going to landfill and sitting around unused in our homes. Phones are full of toxic materials and we really don’t want them going to landfill. Recycling them or selling them on is the best option when you have finished with them. I think these Gazelle machines might be changing the story for old phones in the UK in the near future! Final word about Gazelle, after the meeting they sent us home with goody bags and I know these people care about the environment, because of their attention to detail in the bag! From the bag itself to the 3 things that were in it. A bamboo coffee cup, a wood coated USB stick and a wood coated portable battery charger. Yes there was a little bit of plastic, but overall I think they tried really hard to avoid it and I was really impressed! 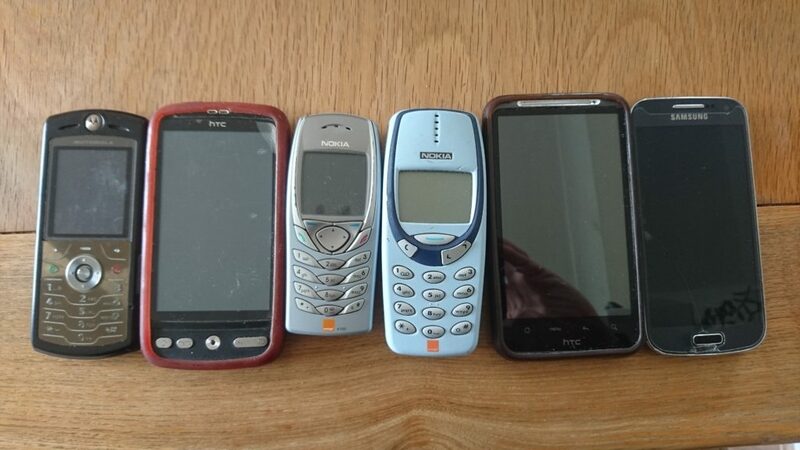 I’m looking forward to them coming down South so that I can get recycling – got just a few phones to sell as you can see from the picture at the top!